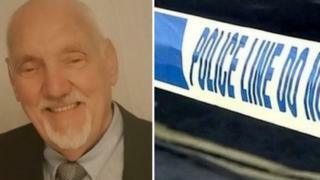 A granddad has been named as the victim of a fatal crash in Newport. Malcolm Churcher, 69, died in hospital following the collision involving two vehicles on Caerleon Road at about 17.15 GMT on Friday. His family said Mr Churcher was a "beloved granddad and dad" who would be "dearly missed". Gwent Police are appealing for witnesses to the crash to call 101 quoting incident number 328.